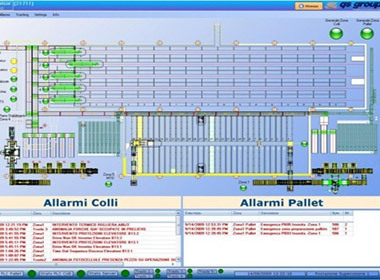 Qs-WMS is a software for the automatic management of the warehouse and facility logistics. 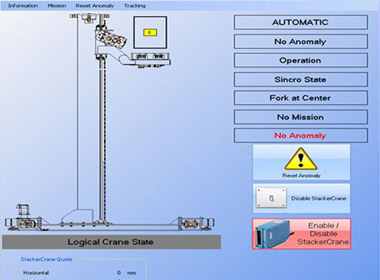 Qs-WMS coordinates the automation devices (warehousing carriers, AGVs, shuttles, conveyors, etc.) and the manual ones (wireless terminals, printers, etc.) 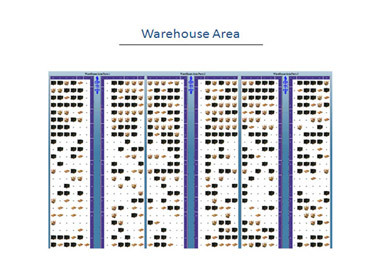 to optimise warehousing in terms of capacity, functionality and performance (with ABC analysis, personalised loading/unloading algorithms, ad hoc operator procedures, etc.). 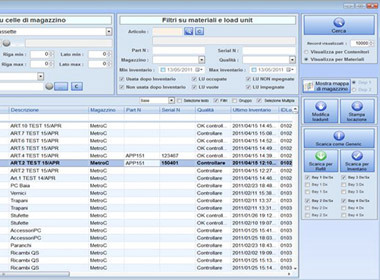 Qs-WMS manages and rationalises the flows of incoming and outgoing materials, picking and refilling activities, information and operations connected to data and materials, inventory activities, master data, statistical analysis and report management. Through an analysis of the reports it is possible to evaluate the status of the goods in stock, the feasibility of scheduled productions, system operation and the adopted operational choices, making, wherever necessary, any corrective actions. Through file exchanging or database sharing Qs-WMS interfaces with factory IT systems (company hosts such as SAP, AS400, Oracle, etc.) 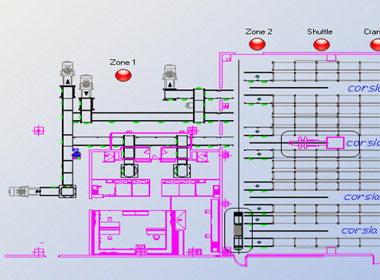 as well as any other automation system (plc, scada,etc.). 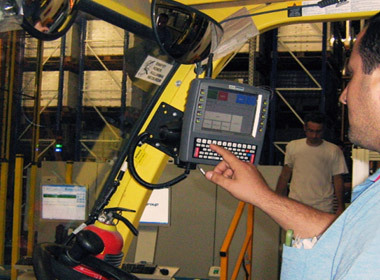 communication with field systems (PLC). There are many warehouse management software packages available on the market, but few are distinguished by this two-fold feature: product standard on the one hand, flexibility and personalisation on the other. Our strength is that we are the suppliers of a complete turnkey solution, which includes the plant design and automation of the facility. Over the years Qs Group has developed a software and functional architecture along with a data structure that guarantee product stability as well as the possibility of making it "grow" over time by inserting elements that guarantee innovation and a greater field of application. open: pre-arranged for developments and integrations with functional modules manufactured by us and pre-existing or later versions of software packages from other suppliers.